The criminal justice reform bill that was recently passed into law received widespread media attention, and for good reason: the bill significantly changes criminal charges and life-altering convictions for those charged with crimes, including those faced here in Florida. Perhaps most importantly, the law reduces mandatory minimum sentencing requirements, especially when it comes to certain drug crimes, and provides judges with more discretion when it comes to sentencing in general for nonviolent crimes. 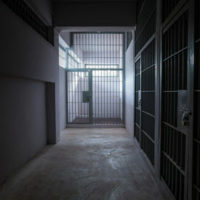 In fact, prisoners have already started to be released under this “First Step Act.” Under the law, the Justice Department must now develop an algorithm to assess the recidivism risk of each prisoner, coming up with terms, early on, as to when each inmate will be eligible for prerelease custody or supervised release. In addition, a number of prisoners being held in Florida federal prisons who are serving decades-long sentences for drug offenses due to crack, are not on the priority list to be released soon. What Does The New Law Do, Exactly? Creating programs aimed at reducing recidivism and increasing incentives to be implemented; programs that allow for prisoners to earn credits that will be used towards pre release custody; amongst other reforms. Whether you are facing felony charges or those for a misdemeanor, you need to work with an experienced criminal defense attorney who not only regularly practices criminal defense locally, but knows how to use new sentencing laws to your benefit. Contact Greater Orlando Family Law today to find out about our excellent criminal defense services in this area.